At local level, small communities commit themselves to meet regularly in order to support each other in their lives of prayer and service. 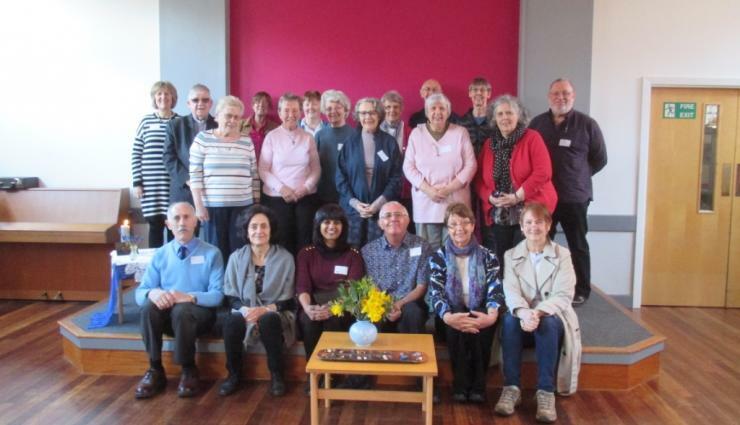 Members from the Region at the World CLC Day earlier this year. The spirituality of our Community is centred on Jesus Christ and on participation in his life, passion, death and resurrection. It is helped by the scriptures, the liturgy, the doctrinal development of the Church, and the revelation of God's will through the events of our time. We especially treasure the Spiritual Exercises of St Ignatius as the specific source and the characteristic instrument of our spirituality. ​We are called to be open to whatever God wishes in each concrete situation of our daily lives. So we need prayer and discernment, both personal and communal, a daily ‘Review of the Day’*, and spiritual guidance in order to seek and find God in all things. ​Our aim is to be committed Christians, bearing witness to those human and gospel values within the Church and society which affect the dignity of the person, the welfare of the family, and the integrity of creation. In particular we recognise the urgent need to work for justice by trying to see our world through the eyes of the weak, the oppressed and the poor and by seeking a simple lifestyle which expresses our freedom and solidarity with those in need.